Brian Forde previously served as a Senior Technology Advisor under President Obama. He also founded a research group dedicated to digital currencies at the MIT Media Lab. What are your hopes and concerns beyond our district and even beyond California? As it relates to the election, I think there’s a couple of clear concerns. Number one, this district, District 45, is incredibly relevant to the entire country. If we flip this district, they say that the country will flip. This isn’t about Republicans, this isn’t about Democrats, this is about keeping a president in check through a legislative branch, through checks and balances, and I think that, number one, is very important. Number two is that emerging technologies, social media, Facebook for example, and other big tech firms have [a] big impact on our elections. And that should be worrisome because it allowed for a foreign country to have a potential impact on the result of our elections. The question we had to ask ourselves was, “Do we have people in Congress who understand the impact of technology?” Are the questions being asked to Mark Zuckerberg [recently] founded in a deeper understanding of how technology works? My question, back to any of the members on the Senate, is “Have they actually used Facebook themselves?” If they haven’t, how are they going to be able to ask the right questions to get to get to solve a problem because the whole point of going to congress is not to be partisan. It is about solving problems, and my concern with where we’re at today, is that people are more concerned about partisanship than problem solving in Congress, but the people in District 45 are looking for problem solvers. How do you think your ideas and focuses differ from your opponents? In 2018, in a world with President Trump, the antidote to President Trump is people that have science and tech backgrounds that believe in fact-based, evidence-based, policy making. Someone with a science and tech background is going to have a higher degree of focusing on what they’ve always done in their life which is using facts to be able to come to an evidence-based, policy making solution. And we need more of that in congress. When we look at all of these emerging technologies that are shaping our lives that you depend on every day, that college students on this campus depend on every day. What is going to have a bigger impact on our lives on this college campus? Emerging technologies will impact the jobs that we’ll end up applying for, it’ll impact the types of businesses that we end up starting, it’ll impact how we fight for our civil rights, it’ll impact how we address climate change. All of these issues we care deeply about have a strong science and technical underpinning, if we want to try face these challenges we need more people in Congress with science and technology background, something that my opponents do not have. Is there anything about your platform you’d like to elaborate on beyond what you have said on your website? Sure. If you look at the average age of Congress today, Democratic leadership, 72 years old. 72! I’m 37, we need younger leadership in Congress to address the challenges that are facing us. But that is the critical issue right here: As a Democrat, I have strong progressive values, that includes supporting Medicare for all, reversing the impacts of climate change, being pro-immigration and supporting [a] clean DACA Bill, working towards free education. But at the same time, standing up for our civil rights, but at the same time, we have to be able to clearly articulate, our progressive values to Republicans that are respectful to them as well because this district is still majority Republican. It’s about 155,000 Republican [voters] and 125,000 Democrat [voters], about 100,000 no party preference [voters]. It’s important that we show respect to all of our constituents, and you show respect by describing your values in terms that other folks will appreciate as well. My parents are Republicans, and I’ve been having dinner with them for 37 years. You have to learn how to talk to them, and one of the important things that I’ve learned in the Obama White House, when I was working there, was that he was not the “President of the Democrats,” he was the President of the United States of America. And when he asked us to work on policy solutions for him, it was not just policy solutions that helped Democrats, but hurt Republicans, it was policy solutions that helped all Americans. When I go to Congress, and then run for office, I want to hear the issues and thoughts and the concerns from everyone in this District. That doesn’t mean I’ve changed my progressive values, but it means that I have respect enough for no party preference and Republicans to talk to, [and] understand their concerns as well. If you do win the midterm election, how do you plan on implementing as many of your campaign promises as possible? One, I want to sign onto the 100 by 2050 Bill, and what that does is try to get us to 100 percent renewable energy by the year 2050. It’s advocated for the electrification of our transportation. I think a couple of the other things that we have to work on is vocational training as well. We are entering a new economy, where there are more than half a million IT jobs today, it will be more than a million in the next few years, and we don’t have the workforce in place with people who are trained to be able to have those skills. One of the things I worked on in the White House was a program called Tech Hire. What Tech Hire did was expand coding boot camps, from San Francisco and New York, to more than 70 cities across this country to help people get the coding skills they needed in a span of three months and able to get a job that pays $65,000 a year as a junior web developer. So, they go from employed to having a middle-class income, which I think is incredible important as well. I would absolutely support Medicare for all to ensure that everyone has the Medicare they need. What I was talk from a young age growing up in this district, growing up in Tustin, having a mother who moved here from aboard when she was 19, is: give everyone a clean shot at the American Dream. But, you also have to understand, not everyone starts out with the same set of resources, same set of educational opportunities, starts out with the same set of economic resources. What’s incumbent on us as a country is making sure that everyone has a fair shot at that American dream and we have to work on policies that allow for that to happen. Whether it’s education, whether it’s healthcare, or whether it’s training that gives you a fair shot at getting jobs in the new economy, I think these are incredibly important. I think that when we look at the civil discourse that’s happening in Congress right now, we’ve gotten away from who we are, from who our parents teach us to be. How many parents of the people in Congress are proud of the way they are acting today, that are the exemplars of the values that they were taught? Growing up here in this community, what I was clearly taught is be kind to everyone. And when you have a platform as a policy maker, you should be working on policies that help everyone. So that ultimately, they’ll have the ability at a fair shot at the American Dream. That’s what I believe. If you become our representative, what do you think you will be able to show, in terms of accomplishments and following through on promises? We kind of touched on this, but a clean DACA Bill, having past 100 by 2050. Building out more vocational training throughout this country to help people transition from the old economy to the new economy because a lot of people are going to lose jobs over the next few years because of automation. The more people that lose jobs because automation are already seeing this happen throughout the country, is they’re ultimately voting for people like Trump whose talking about these issues and talking about job loss. Now I fundamentally disagree with a lot of the ways that he believes in addressing this, but a lot of people in this country felt like what he was talking about resonated with them. So, it is incumbent on us as legislators to work to address some of these problems in the best way possible which is generally different from the way Trump is approaching it. What Trump is doing is a lot of hand-waving, but it ultimately is not proven to be very effective, and ultimately a lot of his policies sounds like they’re helping, and the people are getting ahead, but the people that are getting ahead are actually just the ultra-wealthy. If you become a congressman will you continue to live here? Or will you be moving your family to DC with you? You gotta commute back and forth, you gotta live in both places, you gotta come here every single week. Is there anything in particular you would like students at UCI to consider when voting in the upcoming election? Right now, we are facing 21st century problems with 20th century legislators. So ultimately, the legislators that go into Congress today will have a much bigger impact on their lives over the next 10 to 20 years. Whether they have healthcare or not, whether they have affordable housing or not, how much college debt they have, did they get access to the right amount of training for the right jobs, will they continue to have that? Will we have the right policies in place for them to do the right start-ups that they want to have? Will they have clean drinking water? Will they be able to take advantage of self-driving cars so traffic is never a problem for them? These are the issues that are going to impact them. The question is, are you going for a member of Congress that actually understands and cares about those issues because he or she has been working on those issues their entire life? When I finished up college, I went to go serve in the Peace Corps in Nicaragua. After finishing that, I ended up starting a phone company up there using Voice-Over-IP. So many of us want to get into jobs that help that world, and doing that through the Peace Corps, doing that by starting a social enterprise in Nicaragua, and doing that by serving our country in the White House, have been clear ways that I’ve wanted to do that. And the next way that I want to serve our community is through Congress with the skills that I’ve learned through this very community. When I was in high school, I used to take courses at UC Irvine. That shaped the rest of my life, and the classes that you’re taking today are going to shape the rest of your lives, and I think that the education that you get here clearly demonstrate that you need members of Congress that get the challenges that you’re facing today, and that’s what I’ve been doing my entire life. John Graham is a former UCI Associate Dean and business professor. He has authored many books and written for the OC Register, Los Angeles Times and New York Times. What are your hopes and concerns on the Congressional level? So I’m running as a no party candidate, and from my perspective there’s a real clear path to winning the seat and that is getting through the primary. So if the Democrats splinter the vote at all and I can maintain the [Independents and No Party Preference voters], then I go through [the primary], and if I go through, then Mimi Walters has big problems. Because the Democrats would vote for me, the middle would vote for me, and a lot of Republicans are pissed at Mimi because she voted for the tax reform. Why would the Democrats vote for me? In 2000, 2002 and 2004 I was the Democratic nominee for this district, so I ran in primaries and I won the primaries. I’m trying to win, and I’m completely serious about that. The Democrats are trying to flip the house, and that’s an admirable goal. Going through the numbers, what I was shocked to see was how little money is coming from this district — it’s all flooding in from outside. I know Mimi’s record of donors is awful. For example, in 2016, one of her biggest donors was tobacco companies. But, just looking at Brian Forde, about 1.5 percent of his moneys comes from the 45th district. Let’s go to Katie Porter at around 2 percent, Dave Min at around 5 percent, and Kia Hamadanchy at around 4 percent, so all this money is flooding from outside. These people are talking to these donors, they aren’t talking to their constituents. So this is polluting the vote of the district. So what I’m trying to do is take the money out of the campaign. I think the only thing that’s going to work is for someone like me — it doesn’t have to be me — [who] refuses to accept money to go to congress. So I’m trying to design a campaign where I’m gonna spend maybe $20,000 of my own money. So that’s it. All that Katie and Dave said was standard democratic stuff determined in Washington. My problem with parties is that they are hierarchical and vengeful. And I didn’t say that, George Washington said that 200 hundred years ago. I have the George Washington problem, I have gerrymandering — which in 200 when I was paying attention to gerrymandering, the Democrats and the Republicans colluded to make the incumbents safer. So that’s strike two. Strike three is, I taught for three years in a row a course on innovation process in the business school — the key to innovation and inventive thinking is getting many ideas on the table as you can, the party’s demand, particularly that the junior people, follow the party line. Like, the Republicans say it’s the ‘death tax’ — every Republican is supposed use those same words. That’s how forceful the party leadership is, so there’s no new ideas. Everybody was talking about how we need to lower middle class taxes particularly because of the tax bill. You can’t lower taxes, the budget deficit is already at 100 percent and if you don’t raise taxes you’re going to be pushing it down to [the next] generation. So I’m saying tax the super rich — anybody that’s making more than $400,000. After World War II was the last time we had a budget deficit — over 100 percent of GDP. The way we got of that was that we raised the highest marginal tax rate to between 80 and 90 percent for about 4 or 5 years. Right now the highest marginal tax rate is about 30 or 40 percent. Healthcare. Bernie [Sanders] says, and I agree, the easiest way is to just expand Medicare to all. It’s going to take a lot of money to do that. The only way to get a lot of that money is through [taxing the super rich]. The second thing I’m saying is tax sugar at 500 percent. I know a lot about sugar consumption — I have a book on that too. The most important thing we can do to improve the healthcare of Americans is raise taxes on sugar because the sugar would be so expensive they’d take it out of their recipe. I suggested that six months ago in a letter to the editor in The New York Times. My generation is crushing the system. It’s not just those major social systems — the pension system, social security, the healthcare system — we’re crushing those too. But, in turn, there’s not enough money for schools — so we’re charging higher tuition. There’s not enough money for homeless people. There’s not enough money for anything. All that is because of this 75 million person problem. And part of what I’m trying to do in my campaign is tell the truth. All the other candidates that you reported on are suggesting band aid fixes on things. There is no fixing this, there’s only trying to manage it. The key to managing it is two things: taxing the super rich and cutting defense spending. Those are the only two places we can get money to pay for these other social problems. If you do win the midterm election, how do you plan on implementing as many of your campaign promises as possible? Do you have legislation in mind? Any dates you want to accomplish things by — especially since you only have two years in office at a time. The first thing is to get elected. I think the best way [to campaign] is to accept no money, and so I’m going to continue with that. I’ll do a mailer, I’ll do signs and I’ll do social media. But I’m not going to hire a bunch of people and spend a lot of my own money. I’m trying to model a campaign that anybody can do for about 25 grand. The first thing I’m going to do is give everybody in Congress three books: “All in the Family: A Practical Guide to Successful Multigenerational Living,” “Inventive Negotiation: Getting Beyond Yes” and “Spiced: The Global Marketing of Psychoactive Substances for free.” They cover the most important issues. Try to sell the ideas. Try to be a mediator on a lot of the issues. I plan to work from the aisle and try to find the middle. My plan is to change the operation of congress. I make new suggestions about the important policy questions of out time, and those are related to family, homelessness, the social system falling apart, drugs and how to operate from the middle. Just my mere election would change the system. I’d be satisfied with that. Right now there are no independents in the house of representatives. But the main thing I can try to do is educate the… current congressional members about these kinds of issues and get them to think in terms of evidence instead of party doctrine. Kia Hamadanchy is a businessman and former U.S. Senate staff member. If elected, he would be the youngest member of Congress in history, as well as the first elected Iranian-American. What hopes do you have for the upcoming primary and midterm election? I hope to win the primary. I think we have the best campaign and the best vision of where we want to take Orange County [and] where we want to take the country. In terms of the midterm elections, I think it’s really critical that no matter what happens, the Democrats take back the seat. [Mimi Walters] has fundamentally failed to represent the people she has sworn to represent, and I think we should make sure people recognize that there are other choices, that she is not limiting our needs, and that we need people who can [represent the district], whether it’s issues of housing, whether it’s issues of homelessness, whether it’s healthcare, that we have a positive vision of where we want to take this district. I think it’s critical that we take back the house in 2018. Donald Trump has been doing a lot of things that I disagree with: things that are bad for Orange County, things that are bad for California, [and] things that are bad for our country. It is really important that we have a check on him in Congress. a Democratic Congress that’s able to stop him. At the same time, I think it’s also critical that we take back the Senate. It’s important that we have balance in Washington, it’s important that we have a check on the President, and it’s important that when more than 50 percent of the country voted for someone other than the President, that that viewpoint should be represented in Washington. Is there anything about your platform you’d like to elaborate on or emphasize? One [of the issues] that’s near and dear to my heart is college. I actually worked in Congress on higher education issues. When I worked for Senator Harkin, I worked on the Health, Education, Labor and Pensions Committee, which has jurisdiction over higher education. One of the things we did was go after for-profit colleges. I also worked for Sherrod Brown as a higher education staffer. We asked ourselves how we could make colleges more affordable for people, and we talked about debt free college. I was actually in the room when we tried to write a plan for debt free college. It’s an issue that I’m really passionate about, and it’s an issue that I have a lot of real world experience in terms of how I will go about implementing. When I get to Congress, I’ll be spending a lot for time focusing on those kinds of issues because of my background. If you win, how do you plan on implementing as many of your campaign promises as possible? The first and most important thing is building a really good staff. When I worked for Senator Harkin, he had this line he used that was, “Senators are a constitutional impediment to the smooth functioning of the staff.” He said it very jokingly, but as someone who is a member of Congress, you are only as good as the people who work for you. Having been a former staff member, I think it’s really important to get smart, dedicated, and talented people t0 execute your ideas. As a member of Congress, you’re going to be pulled in every which direction. There’s only so many hours in the day, so you need to build that staff to be a good extension of you. What do you think you will be able to show, in terms of accomplishments and following through on campaign promises? My hope is that I can get a new wave of Democrats to take back Congress, but one of the things I focused on when I was in Congress was oversight and investigation. There’s a famous line by Louis D. Brandeis that is, “Sunlight is the best disinfectant,” and one of the things you have in Congress is the power of oversight. You have the power to draw attention to problems, and the power to shine the light on them. In my experience, you are actually able to make change without ever passing a law just by drawing attention to a problem. One of the things I hope to do is shine a light on a lot of these things the Donald Trump administration is doing… to shame them into doing the right thing. In terms of other things, I think that Donald Trump has spent a lot time talking about infrastructure, and if there is a Democratic Congress, I hope that we are able to pass some sort of infrastructure plan… to help alleviate the housing crisis [in Orange County]. Is there anything in particular you would like students at UCI to consider when voting? 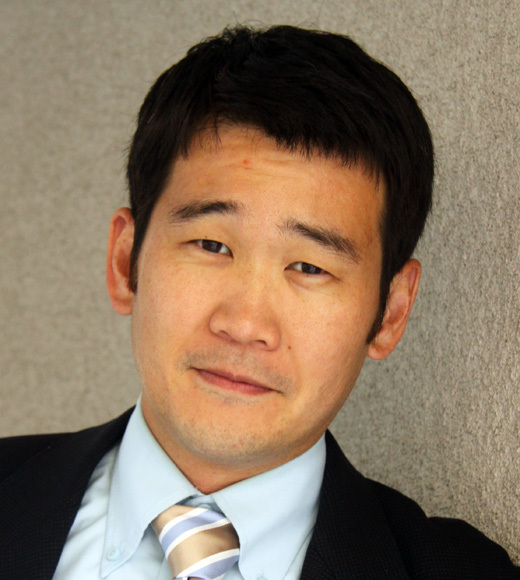 David Min is a current UCI law professor and former senior Congressional advisor. He is endorsed by the California Democratic Party. What hopes and concerns do you have for the upcoming primary and midterm election? I hope that we — at a big picture level— the goal has to be, and the reason I’m in this race, is how do we take back Congress and impose accountability on an agenda that I think is out of control and very un-American. What we are seeing right now is Donald Trump doing exactly what he said he’d do, and a lot of Republicans who previously said they were not on board with that, like my opponent Mimi Walters, now have become very strangely silent–and in the face of things that I find very disturbing: corruption, self-dealing, allegations of colluding with foreign governments to disrupt out election process, also, attacks on immigrants, attacks on people of color, attacks on people who look different from Donald Trump and his family, and that’s deeply troubling to me as a son of immigrants. Attacks on economic opportunity, and that’s something that I think the Republican party is fully on board with–the tax plan was their idea. So when I look at what’s happening right now, I’m very frightened and concerned about what the country will look like should we not take back Congress. I do believe this is the most important election of our lifetimes, so it starts by winning seats like this one. The goal absolutely is to have a Democrat win the general election. I believe, and I think that the data statistics show, that I am by far the strongest candidate to do that, which is why I’m in this race. I came out here to be a nerd and to raise a family, and I had one kid at the time who was one year old and he’s now seven years old. I had two more kids after that, with my youngest being two years old now. I tell people that I had no intentions of running for office, but we have to win this seat. If you know this district–if you study this district–you know that what becomes pretty clear is that you have to win swing votes to win this district… This is not a populous district, it’s not a Democratic base district, you do have to win over swing voters, and the key swing voters are Asians and 35-50 year olds. They are people who are my age that look like me, and that was the rationale. I didn’t see anyone else stepping up that I thought could get those votes, and I still don’t believe that any other Democratic candidates can get those votes. So that’s why I’m running. The hope is that we win. In June I hope I win, but should I not win, I hope that we have a campaign that is not scorched earth — that is a positive campaign on the Democratic side and that we all focus our collective energies on the real problem which is Mimi Walters and her 100% support for the Trump agenda. How do you foresee the split between the several Democratic candidates influencing the outcome of the primary election? Is it likely that two Democratic candidates will win in the primary and go on to the midterm? Or is it more likely that one Democratic candidate will be facing Mimi Walters? Luckily in our race, there is only one Republican, so there is no chance that there will be two Republicans. So probably you will see a Democrat in opposition to that. There’s one independent running, but he’s not raising money, he’s not taking contributions, he’s not doing any advertising–also a UCI professor and a very nice guy, but I don’t think he will do very well… We believe our campaign will be the one that emerges, and we would like to be a campaign that emerges in a background of unity, not of divisiveness, and we really desperately hope that the other Democrats in our race stay positive and don’t go negative because the last thing that we want is to fight a bruising campaign in a primary and come out with a lot of division and anger. What was Porter referring to when she said “we know this isn’t just about electing any Democrat. It’s about electing a Democrat who will act like a Democrat”? Part of what they were doing, they were accusing me of being a corporate Republican Democrat. I’ve been a lifelong Democrat. Unlike most of the other candidates, I’ve actually worked with Democrats…They were just kind of misrepresenting me…They accused me of being in the pocket of big oil, of being a corporate Dem, of being a pro-Wall Street Dem. They had no proof, and it’s all lies. Does that then mean that you publish who contributes to your campaign somewhere? It’s all available publicly. The big oil thing was because I had taken one $250 donation from a law school classmate of mine who is an attorney, who works at Chevron. But, as soon as we found out about it we returned it. So they didn’t tell everybody that, they just said that I got a donations from Chevron. So they accused me of being in the pockets of Chevron and big oil, literally because of a law school classmate’s donation. How do you think your ideas /focuses differ from your opponents? I think that there are some policy differences between myself and the other candidates. I don’t think they are huge policy differences, I think they are actually very very minor, but they are legitimate policy differences you can talk about. What I find sad and unfortunate is that these, what I view as indistinguishable policy difference–what the average person would not be able to tell the difference between, but they turn into personal attacks, “you’re corrupt” whatever. Because there seems to be some misunderstanding, I want to be clear that I am for universal healthcare, and I’m open to how we get there… Sometimes that ends up being portrayed as I oppose single payer [healthcare] because I’m not endorsing it. But, there’s a difference between I’m not supporting this at this time, but I’m not against it. I think the biggest difference between myself and my fellow Democrats in this race are on two levels. One, I’ve talked a lot more about being willing to listen to Republicans and work with Republicans, because I understand this district has a lot of Republicans in it. And one thing that I find very frustrating as a Democrat is that Mimi Walters just does not listen to Democrats. So I don’t want to be that guy on the other side… I want to be there to listen to them and represent them. The other big difference between myself and the other Democrats is around taxes. I think people in this area feel overtaxed… I just don’t believe in raising taxes on working families. So I’ve been very careful to say that if I get elected, that I don’t want to be the candidate that immediately goes in and raises your taxes. Part of this is about being realistic. I will be what they call a freshman congressional rep, which means I’ll be the lowest person on the totem pole. But, they’ll give me a little bit of clout because I’m coming from a swing district and they want me to win re-election… The honest fact is this, we’ll still have a Republican president, so we’re not going to be able to pass the big picture stuff. But what we can start doing is to start advancing the legislation and pushing hearings… If we win back the house and senate in 2018, what we ought to do is to create legislative background… so that should we win back the presidency, in 2020 that we’re ready to go and pass something immediately. And that would be the goal in that two-year period. If and when you become a congressman, will you continue to live here? Or will you be moving your family to DC with you? I will have to take a leave, and my wife would still be a professor so we will still be a part of the UCI community. One thing that I’ve committed to is staying here. My family will stay here. I will come home every weekend. In a swing district like this one, you need to be back every weekend talking to your constituents. I think the main thing that people should focus on is who can win and who represents my values. Representing your values is not just about talking a good game. I’ve been out talking to the UCI community. I’ve been talking to different groups. I’ve been out there talking about young people issues. It’s immigration, DACA, university education, student loans, housing–whether it’s any of those issues. I think we present the strongest appeal to students, but I also think that we present the best chance of actually winning this seat–which is important. If you have a candidate you may like better, I guess the question is can that person beat Mimi Walters. The objective, unbiased, data is very clear that we present by far the strongest chance to beat Mimi Walters, and I think that all the political experts agree with that which is why we got the endorsement of the California Democratic Party. 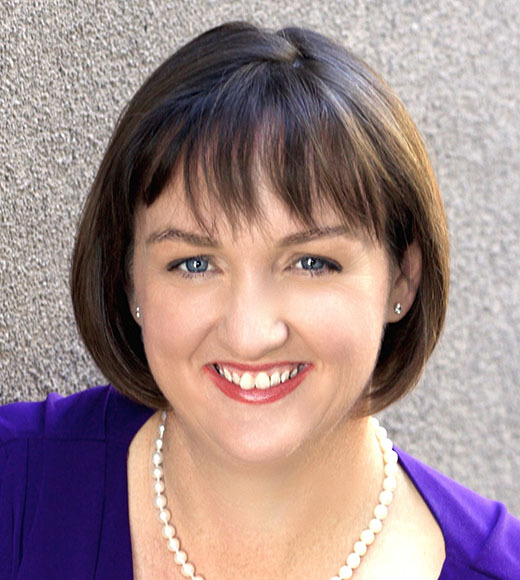 Katie Porter is a current UCI law professor and Consumer Protection Attorney. She has spent the past 20 years advocating on behalf of consumers and families. What hopes do you have for the upcoming primary and midterm election, and what concerns do you have? I’m very excited about all the momentum we are seeing among Orange County families and voters. There’s so much engagement around this election — both the June election and the November election. People, I think, have learned a lot more about Mimi Walters and about the way in which her voting record is hurting Orange County families. And so I’m just very excited to see a very very strong turnout from across the district including of course the University of California, Irvine — the students, the faculty, the staff. I think that’s a really important opportunity for our local campus community to get engaged in this election. So I’m very excited about it, about the energy that we are seeing around the country in terms of electing women, electing a more diverse congress. I think it’s going to be a really great thing to see when we see the results of these June primaries and November 2018 can’t come soon enough. My whole career has been about helping middle class families and working class families who are struggling to make ends meet, who are feeling the pressure of having to try to save for retirement and at the same time try to pay off student loans, and so I’m very concerned about what I see going on in Washington in terms of the attacks on the Consumer Financial Protection Bureau, in terms of rolling back the rules that protect students, what’s happening at the department of education under Betsy DeVos, these are all things that I care a lot about. Obviously the environment and immigration are two other huge issues that affect not just families here in the 45th district but affect overall the economy and society of America as a whole. How do you foresee the split between the several Democratic candidates influencing the outcome of the primary election? This race here in the 45th is different than many of the other California congressional races in that there’s only on republican on the ballot. So under California’s top two primary system, we are guaranteed to have a strong challenger to Mimi Walters coming out of this primary. We’re very excited that the polls and all of the field research shows that I am the best candidate to defeat Mimi Walters in November, and that I am leading in the primary election. Is it likely that two Democratic candidates will win in the primary and go on to the midterm? Or is it more likely that one Democratic candidate will be facing Mimi Walters? We’ve seen a really strong turnout from people who are upset about the direction that Trump and Congress are taking this country, and so I think we’re going to have to see what happens. I think each of these different elections has shown that old patterns of voting has not necessarily held true… So I think it’s hard to know what will happen. But, I think that we feel really confident to come through primary and be on the ballot and defeat Mimi Walters in November. Is there anymore information about your campaign you’d like to share? How do you think your ideas and focuses differ from your opponents? I have a real track record of fighting for families right here in the 45th district. So I’ve been on the ground here for the last several year serving the families of Orange County, serving the families of California, standing up to the big banks when they cheated families, taking them on and winning… and I think that track record is unlike that of any of my opponents. It’s a track record that families can count on, that if they send me, when they send me to Washington, that I will continue to fight for them. Our campaign is also different because we take a very strong stance on leading the country on campaign finance reform. I’ve been endorsed by the leading campaign finance group which is called End Citizens United. We don’t take corporate tax money, but we also don’t take money from those that work at big banks, big oil, big pharma, private charter school, or the NRA. And yet we’ve raised over a million dollars in this campaign from grassroots supporters. And so I think people should look at our campaign as a real good example of leading by example of who I’m going to be fighting for once I get to Washington, and that’s the families of the 45th district. Dave Min has said that he is not “in the pocket of big oil,” and the $250 donation he received was from a former classmate who he did not know was working for Chevron, and that he later returned the money upon finding out. What are your comments on this? We all took a pledge from a group called Climate Hawks. Dave signed it. I signed it. It was a public pledge… and we signed it in a public meeting of the California Democratic Party environmental caucus, and that pledge obligated us not to take any donations of over $199 from anyone who worked for the fossil fuel industry. As of the end of the year 12/31, when the most recent financials were reported, there were multiple contributions from Chevron that totaled over $199 and they were not refunded as of that point. So it think the issue here is one of accountability and transparency… Your actions during the campaign should absolutely reflect who you’re going to be when you are a congressperson, and I’m really proud of my track record. When we win, I am very excited about going to work immediately on the economic issues that I see facing this district, working on improving our healthcare system, working on stopping Trump’s attacks on key consumer and environmental protections. There’s so much to do in Washington–both in terms of standing up to what is going on with Trump, but also in terms of moving forward on some of the issues like climate change. The work is not done. It’s not just about reversing Trump, but it’s about pushing us forward. The time is now to act on climate change. The time is now to act on healthcare. Responses have been edited for clarity and conciseness. All interviews were conducted by New University staff writers. Republican incumbent Mimi Walters did not reply to an interview request at the time of publication. The primary election is on June 5. Midterm elections are on Nov. 6.